The use of drones on construction sites is increasing, as are the applications for the technology, which range from measuring the movement of materials on-site to tracking the status of the entire project. However, drone data is only as powerful as the software that processes it. 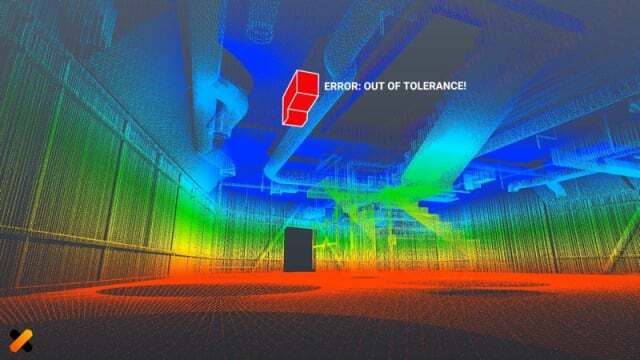 Moreover, drones can only capture a building’s exterior. 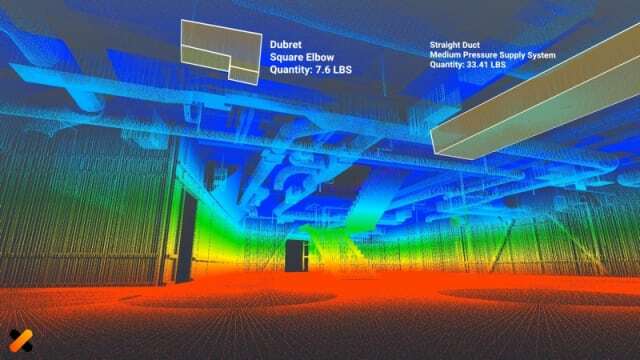 It’s for these reasons and more that Palo Alto-based startup Doxel launched an artificial intelligence (AI) platform that uses HD photos and LIDAR scans to analyze important data from a construction project—both inside and out. To push the company out of the gate, Andreessen Horowitz—with participation from Alchemist Accelerator, Pear Ventures, SV Angel and Steelhead Ventures—led a $4.5 million investment round in Doxel. To learn more, we spoke to Doxel CEO Saurabh Ladha. What this process entails is sending a drone over a construction site and/or sending a rover inside of a construction site after the workday is complete to capture photos and 3D scans of the entire project. The data is then processed with the startup’s AI. Using Doxel’s deep learning technology, the AI is able to perform a number of analyses automatically, specifically for quality, budget and scheduling. 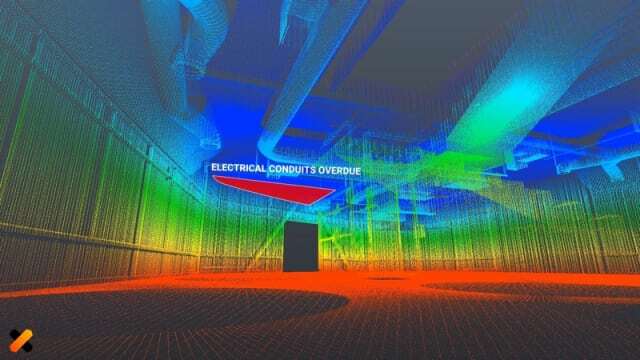 By comparing the scans and images to the building information modeling (BIM) of the project, the AI is able to detect discrepancies between how something was actually installed and how it was meant to be installed. The software also cross-references installed quantities against the numerous line items in a project’s budget, providing real-time insight into how much has been spent for a day’s work. The quantities are also cross-referenced against schedules, so that superintendents and project executives know where the project stands in relation to each day’s planned activities. A project manager can rely on the information that Doxel provides at the end of the workday, and then use that information to inform the next day’s activities. If an item has been installed incorrectly, that project team can address the issue before too much time elapses. Ladha said that the development of Doxel was, in many ways, serendipitous. When he was five years old, Ladha’s father invested the family’s entire life savings in starting a factory. The factory’s construction ran over budget and missed its deadline, leading banks to eye the family’s home if the factory didn’t start production on time. “It’s funny because kids, even at that young age, are able to pick up a lot of cues and detect fear. Every child thinks their parents are superheroes, and that bubble burst for me at the age of five, when I realized that they were actually scared about losing our home,” Ladha relayed. Ladha’s father was able to pay the loans back after the project was completed, and the business was able to succeed, but that stressful time of uncertainty had a lasting impact on him. The fact that a project’s schedule and budget can cause such issues ultimately led him into the construction industry. Unlike a factory, which produces thousands or millions of copies of the same object, a construction project is a one-off. Tracking progress and detecting errors would require a different approach. Ladha’s experience at his father’s factory would later inform the foundation of Doxel, with the startup’s combination of machine vision and deep learning replacing the sensors that fill the factory’s equipment. Doxel can track every aspect of a project from excavation to close-out and, because the startup is able to scan a building’s interior, Doxel is able to reach areas of a project that drones can’t access. According to Ladha, 80 percent of construction money is spent on the interior, giving the startup a big advantage over drone-focused businesses. So far, Doxel has deployed its technology in multiple projects, but Ladha is unable to identify them. With its recent $4.5 million investment, this unstated number is likely to increase. “We’re growing pretty fast. Since the launch, the demand has been significant. We’re putting that money to good use and scaling the company to meet the demand,” Ladha said. If the company’s technology is as powerful as Ladha claims, Doxel really may become, as Ladha put it, the “canary in the coal mine for construction,” allowing project teams to catch problems before it’s too late.